What would happen if we were to live without makeup? I know some say they can live without makeup, but, can you imagine waking up with puffy eyes and you are to go for an interview, will you have the confidence, or will you be thinking of how the panel is staring at your puffy eyes? Thanks to makeup, that will not be a problem. The magic of makeup is that you can hide that black eye, swollen forehead, red blemishes and the puffy eyes that you got from sleeping late while preparing for the interview, incredible, right? Now women have the courage to pop and sparkle for the day without worry of how our face looks like. We have the confidence to face any challenge that comes our way because when you have the attention, you can drive the point. So, how do you get your makeup right? As much as makeup makes you stand, you must be able to know how to get it right. And how do you do that? You need to strike a balance. From your lips to your chin bone to what you use on your eyes. A lot must be done especially when it comes to the eyes, why is that? You get a lot of attention from your eyes. One glance at your eyes will tell someone a lot about you. therefore, it is good to get it right when it comes to your eye makeup. How do you do that? You do that by knowing your eye type and working around that. What is your eye type? There are a lot of eye types found in different people/. From hooded, almond, round, upturned to downturned, where do you belong? The thing is, getting your natural eye shape right is important just as getting your whole, makeup right. The most difficult to work with is the hooded shape. For you to know you are hooded, you need to look at the mirror, if your crease is hidden underneath the upper part of your lid or your brow bone, you are hooded. you need to read along to know more on how to put on makeup. 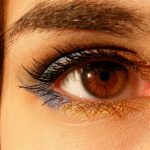 So, you have just discovered that you have hooded eyes, what are they? Hooded eyes are eyes that lack visible lid space. They have an extra layer of skin that drops over the crease causing the eyelid to appear smaller. If you have this kind of eyes, there can be difficulties in your makeup do. Yes, when you have hooded eyes, it is not that easy to just wake up and wear smoky eyes, winged eyeliner or the cat eye makeup. It’s a struggle, but that does not mean you should panic. It means you need to know some extra information about your eye makeup. 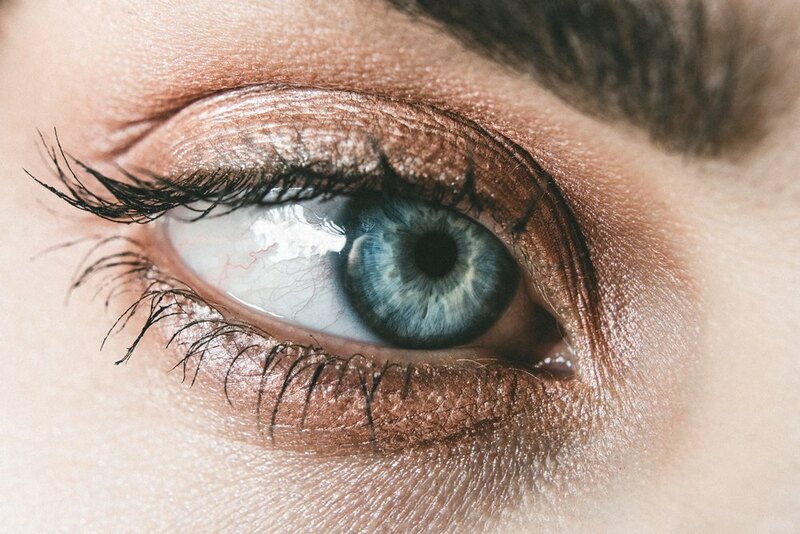 When you know you have this kind of eyes, you need to make sure you equip yourself with the important tips on how to get your makeup right because failure to that, you will be ending up disappointed every time you try to have that stunning gorgeous look. This is the most basic of them all. Your eyes are delicate to handle. That is because they have a small working space, so you need to get it right. That means you need to lay a good foundation for your eye makeup to lie on, what do I mean exactly? You need to invest in the right foundation or concealer for your eyelid. Make sure you lay it well and blend it in before you put on some powder. The whole idea is to make sure that once you place your eyeshadow, it won’t be carried away when you blink. Not that you want to see how pretty you are turning out, but you need to do it while the eyes are open to make sure you have the whole space that you need to work on. When the eyes are open, you can see your natural crease, the corners and the available space above your eyelid. You need to get it right here. You don’t want the colour to get lost when you open your eyes. Apply the shade of your choice just above where you have marked your crease and not at the natural fold of your eyelid. You need to get the difference and make sure you execute it right. These shades make minimize the upper brow bone. They make things bigger by reflecting light. So, when you use the shimmery shades, they will drive the attention away from the hooded part when you place them well. Make sure you place it well on the part of the lid that is moving. You need to go to the stores and make sure you order waterproof mascara. That is because your eyelashes will keep on touching your brow bone and you don’t want messes when you have a perfect look. Waterproof mascara stays intact even hence avoiding oops moments. For you to make sure you stand out, using a white eyeliner seems to be a good choice. When you do so, you draw attention to the arch of the eyebrows and away from the hood. That will also make use of the space available on the eyelid. For you to make this perfect, you need to make sure your eyebrows are in good shape. Go for a nice arch shape and avoid being dramatic. Once you do that, you need to highlight the brow bone using brown colours to produce shine and sparkle your eyes. You need to make sure that you keep your eyeliner thin. That is because there is not enough space to work on, so you need to minimize the one that is available. Using a thin line creates more space for your eyeshadow to fit in. This is a nearly impossible thing to achieve with hooded eyes. That is because you cannot find your natural and your marked crease and when you find, it comes difficult to work with. For an instant wing, you need to flick the eyeliner at the edge for an instant and easier to draw the wing. There are so many shades of colours in which you can wear on your eyes. It’s your choice to go for the colour that suits you. you need to remember that if you are going for darker colours, they should be applied on the brow bone and in the crease for a larger crease effect. You need to use it on the outer corner of the eyes and for the brighter colours, they need to be applied on the inside part. You need to make sure that with your makeup, you are drawing focus upward and diffuse darker shadow over and out past the crease, got that right? Good. Holding the eye corner, you need to pull it outward and upward and then you need to extend the wing beyond the fold. You need to trace it with a liquid liner and Walla, there you have it, you have achieved the cat look. All you need to do is apply your eyeshadow for a finer look. With the above tips, you are assured that you will get your makeup right. Yes, it can be difficult to apply makeup on hooded eyes, but it does not mean that it is impossible. All you need is the right information and you will be good to go. Don’t be afraid of trying out, take the initiative. You need to fish for information. This is the only way you will be sure that the look does not scare people. You can make mistakes because it is through mistakes that we become perfect. Do it like a pro and step out and make your day shine.